Rejuvenate your health, happiness & prosperity! What awaits you is sheer passion and pleasure. Relax in ways long forgotten. Let the sound waves rejuvenate your health and happiness. Bathe in the power of Sound Medicine. Above all, have fun! Using sound to transform lives is the cutting edge of holistic energy healing. Get a physical and emotional tune-up through the vibrational alchemy of our sacred instruments. You feel vibrant! Alive! The magic of sound gently nudges you back to your natural whole state of joy and peace. Leave with the clarity of how to open to greater abundance! Our one-of-a-kind, hand-crafted Tibetan Singing Bowls from the 16th-19th century, are hand selected for their astounding overtones and profound healing qualities. Tradition has it that mantras recited while making the ancient Tibetan Singing Bowls are absorbed into the metal and released when the bowl is played. These mantras assist people on their path to enlightenment by harmonizing body, mind and spirit. Custom-made Native American flutes add their haunting power of magic and renewal. A Kaiser Permanente study finds that pain medication can be reduced by up to 30 percent by playing music to patients. University Hospital of Cleveland reports that a single 30-minute music therapy session significantly boosts the effectiveness of people’s immune system. Yale University researchers find that music has a way of communicating with autistic patients who otherwise can’t be reached and helped. 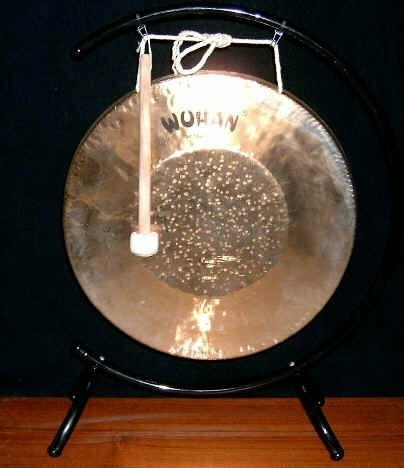 The Cornell Cancer Prevention Center in NY has cancer patients play crystal and Tibetan Singing Bowls, and finds that people recover 50% faster after chemotherapy treatments when the bowls are played. The Albert Einstein College of Medicine has discovered that sound helps people affected by disorders originating from the brain. Sound therapy is beneficial for stroke victims, psychiatric patients, and patients with Parkinson disease and Alzheimer’s disease. 60% of patients require less anesthesia when music is played during surgical operations. Infants who listen to Brahms gain weight faster, have fewer complications, and are released from the hospital an average of a week earlier than those babies who did not listen to Brahms. In coronary care units, patients listening to classical music have fewer complications like irregular heartbeats and problems with high blood pressure. Go on an intuitive journey to reclaim your clarity, power and prosperity! Then soar with us to your next level of awareness and abundance! That was a wonderfully relaxed evening with a small core of people who were truly blessed by the joyful sharing of the talents and gifts of Keith and Sulana! The newly added instruments and electronic keyboard special sound effects enhanced the natural, ancient instruments to another level! WOW! I went SO far out on the last piece!! And interestingly, my terrible gut issues that were plaguing me all week just…vanished…and I was finally able to eat solid food the next day! Imagine that! A truly open-hearted, loving, down-to-earth and divine experience with Keith and Sulana. NOT TO BE MISSED! It was a really fabulous evening of beautiful, nurturing, powerful and inspiring music, meditation and healing vibrations. I totally enjoyed every minute of it, and thank you both. Many Blessings.